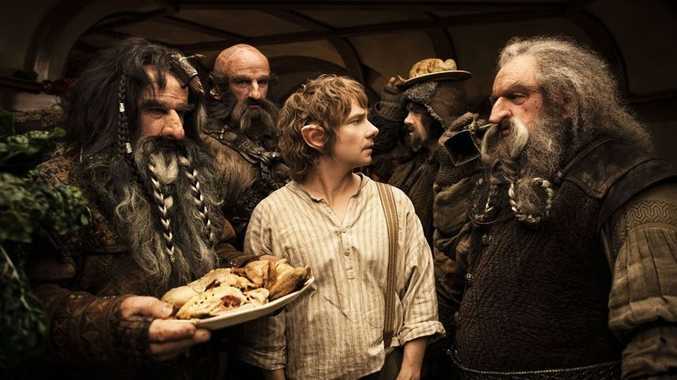 Martin Freeman, centre, as Bilbo Baggins in a scene from The Hobbit: An Unexpected Journey. Warner Bros. THE Hobbit is already in the running for an Oscar despite being weeks out from its official cinema release. Nominations for the visual effects Oscar have just been whittled down to a shortlist of 10 finalists by the Academy of Motion Pictures Arts and Sciences. It includes The Hobbit: An Unexpected Journey along with other big budget blockbusters such as The Dark Knight Rises, The Avengers and Skyfall. Academy members will be shown 10-minute excerpts from each of shortlisted films before announcing five final Oscar nominees on January 10.